Q1 Blues? Cheer up with BQool 30% off! While you are occupied increasing your Q1 Amazon sales, BQool is finding new ways to help you boost sales effortlessly. What better way to help than offering the BIGGEST discount of the year on our powerful Amazon seller tools? 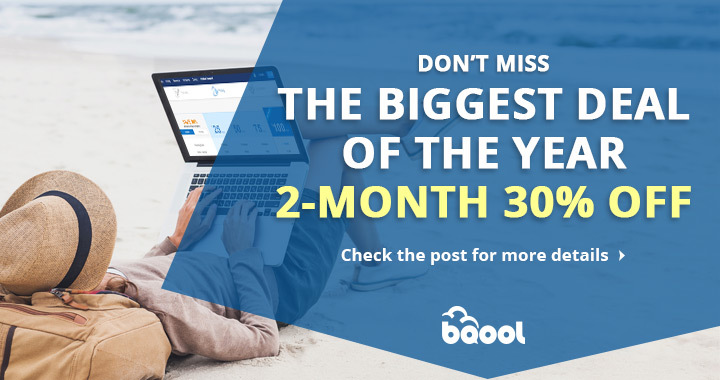 BQool 2-MONTH 30% PROMO is here! Now you have the luxury to increase Amazon sales with BQool at a lower price! Save time & money and sell more with the best Amazon seller tools! For a limited time, all new and existing BQool users can enjoy this whopping 2-MONTH 30$ OFF when they subscribe to a New Product. Subscribe to any of the following products and get a 30% discount on your first two months of subscription. Repricing Central – Win the buy box to get more sales and profits with the fastest Amazon repricer. Feedback Central – Get more feedback and reviews like you have never experienced before with BQool Feedback management tool. Review Central – Get negative review notification and protect your brand reputation with our product review manager. Like BQool Facebook Page for the Latest Promo! To get your 2-MONTH 30%OFF, use code VQLXC6U4 at checkout. This promotion is only available from 1/14/2019 – 2/28/2019. Don’t miss out! 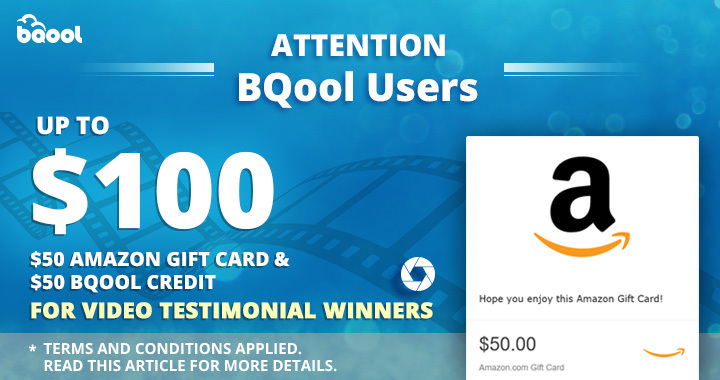 BQool Video Testimonial Award is Giving Away $100 Prize!